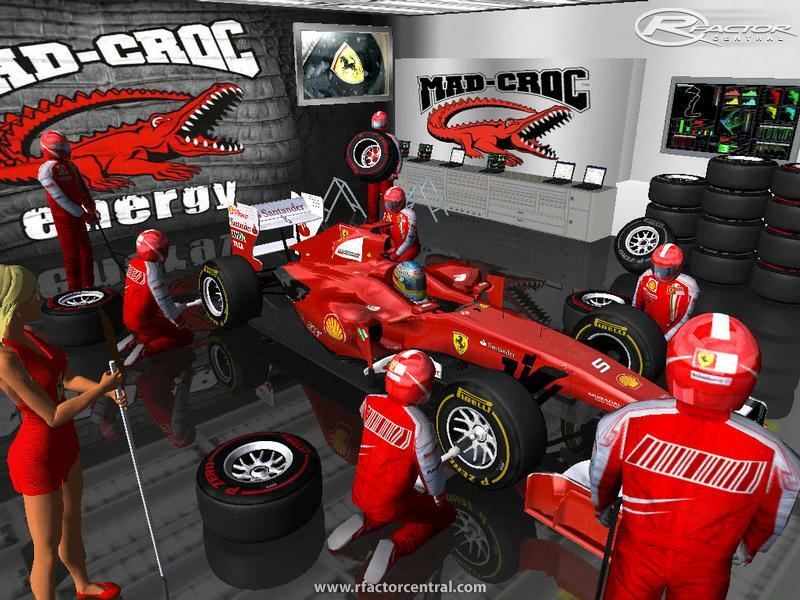 This is the only mod for rFactor Formula 1 that meets the FIA regulations, and physics are limited to data provided by different teams, related to the competition during the 2011 season, so the car's behavior is unlike other MOD's ... this is REAL. As a novelty, rfDynHUD plugin is not installed by default, install it from the Control Panel (F1 Total Control Panel.exe). This is a mod designed to lead from the camera of the Cockpit, I encourage you all to try. 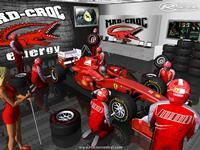 - New models of cars in 2011. 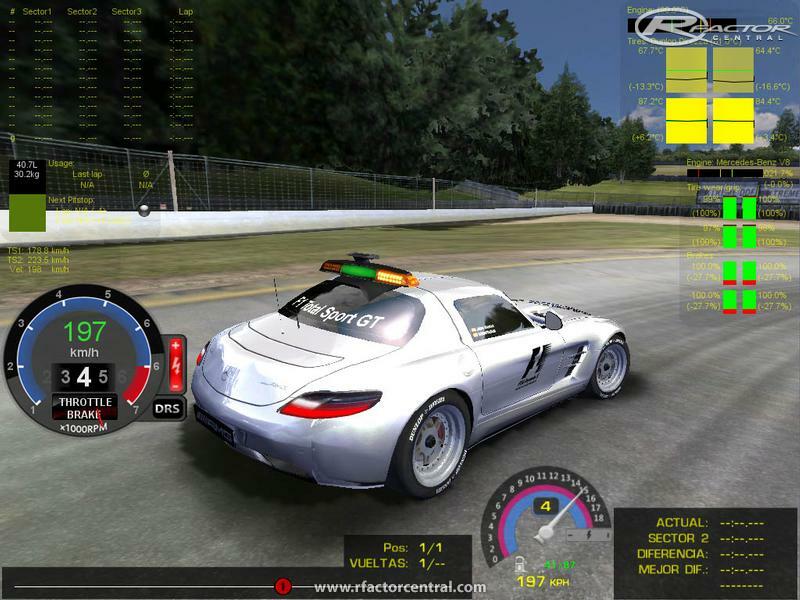 - Rear wing mobile for use in conjunction with the DRS plugin. The instructions use are included in the Control Panel (F1 Total Control Panel.exe). - Expanded the physical perimeter of a collision to the wheels of the car. - New real damage.ini deformation effects. For proper utilization percentage must be set to 50% damage. thus varying the radius of the same 299.9mm front and 311.4mm rear. Likewise tires have adapted to the actual data in the 2011 season As parameters of wear, pressure, temperature, grip and performance. - New gearbox with 4 final drives, the first thought for urban circuits and the other 3 to adapt to the various circuits of the championship. - Fully operational and safety car to be drivable for real commissioners in On Line Leagues. As option in upgrades section, the Safety Car was can install a kit Gran Turismo and a kit Sport GT. - Installing the Real Feel Plugin included in the Control Panel. 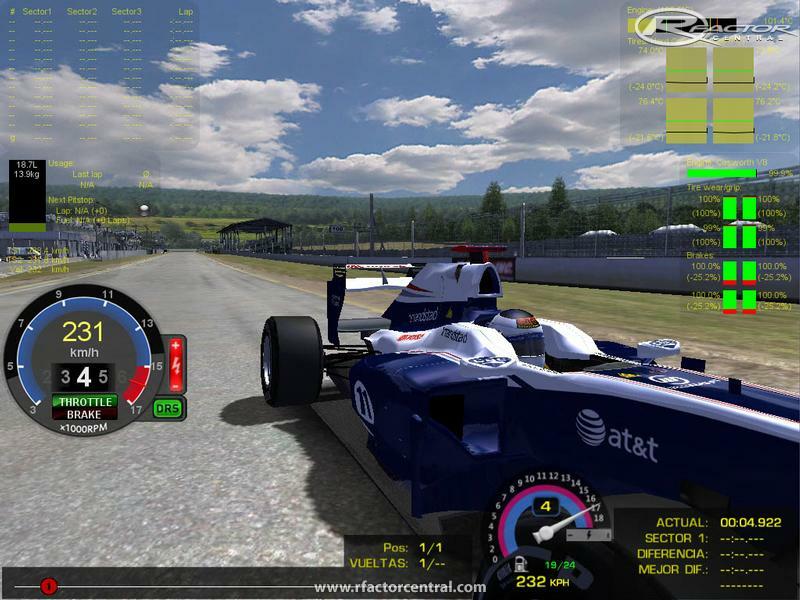 It should installed from the Control Panel (F1 Total Control Panel.exe) and then from upgrades of the car in "Steering Wheel"
- MOD and 100% fully translated in English and Spanish. 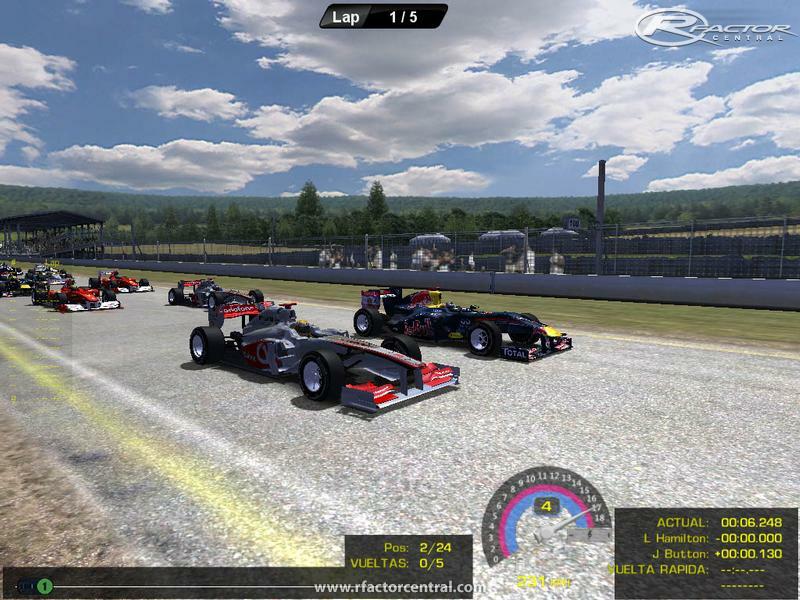 Three languages are available: F1TOTAL-Spanish, F1TOTAL-English-UK and F1TOTAL-English-USA. improvements to the car: Near, Far, Real or Off. to silence the engineer without touching the file CommentaryEnglish-USA.ini original. 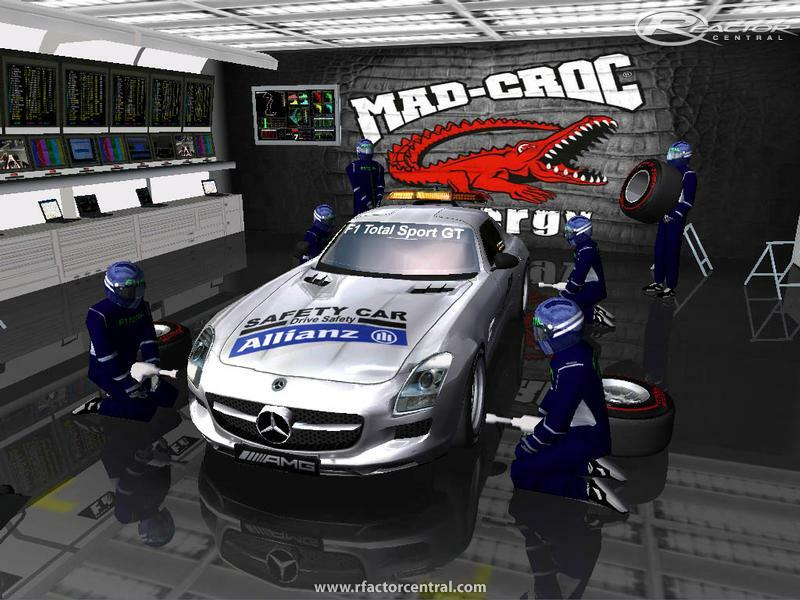 - New Showroom with our sponsor advertising MAD-CROC. - New brightness and relief for helmets. - New metallic gloss less carbon for cars. - Purification of textures and general darkening of the air intakes. 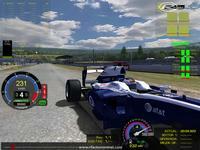 There are currently no setups for F1 TOTAL 2011 SP4. Add a Setup. 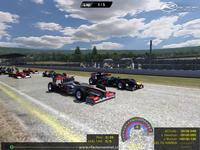 rFactor crash, any mod didn't works, basically, rFactor is useless after install this mod. anyone know how uninstall this mod? i really want to drive. APPCRASH THANKS! Now doesn't work any mod, not only this... Thanks guys, don't download this sh*t.
For those who get a "not enough free space " error, just right click and click compatibility , then change it to xp service pack 2 and click apply. Now Run the application. Enjoy !! Hello everyone! Can anyone tell me how I can download a helmet view mod? When I click on the installation .exe, it says I don't have enough free space, even though I have a ton. Help! but mod need update,example(arms,and i can't put the menu FBB for more modding of steering,break,accelerator),but thank's for you work. thank you very much for thid mod. Thank you so much for this Great mod for me. I also find this plug in odd because set up to instructions the indications work but if you look to rear key pageup, you will see no wing movement? press H and the and you can toggle the wing up and down .There should be a link surely?One even wonders whether ether is actually having any effect? Does any one have advice on how this works? DRS activation is screwed up. When you set wheel button in rfdynhud_editor_launcher, then do the same button for headlights in the game, it works. But when you deactivate the DRS with the brakes, the wing stays up and starts working backwards. It's hard to explain. Anyway the wing should drop as well when breaking not just with the button.